Sylvia Sheehan, Author at Get on Board! 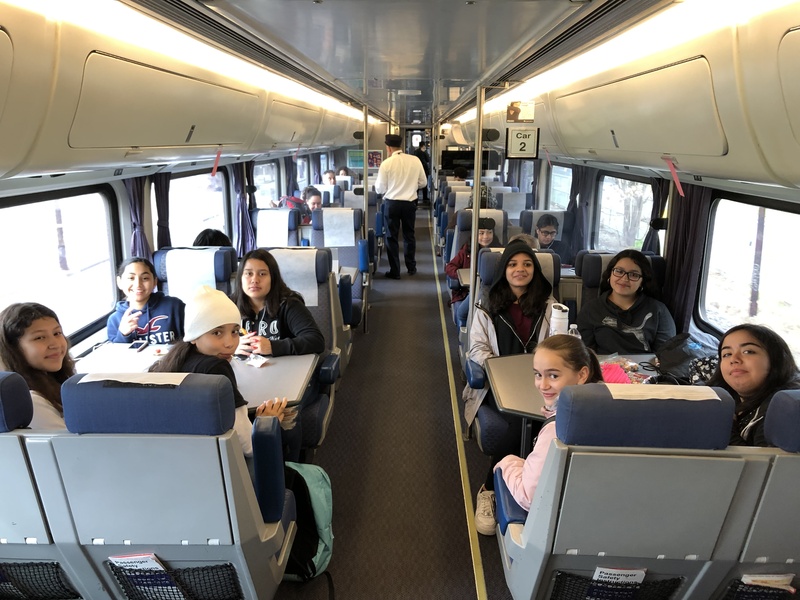 On March 6, 2019, the Capitol Corridor sponsored a group of ten girls from the Sacramento chapter of Women’s Transportation Seminar (WTS) to ride the train to Rosie the Riveter National Park in Richmond. WTS is an international organization dedicated to the advancement of women in the transportation industry. In the US, WTS offers Transportation YOU, an outreach and mentorship program for girls ages 13 to 18 that introduces them to a wide variety of transportation careers, and cultivates their interest and efficacy in science, technology, engineering, and math (STEM). Many of the girls selected to participate in Transportation YOU come from lower socioeconomic backgrounds, often lacking exposure to female representation in STEM. 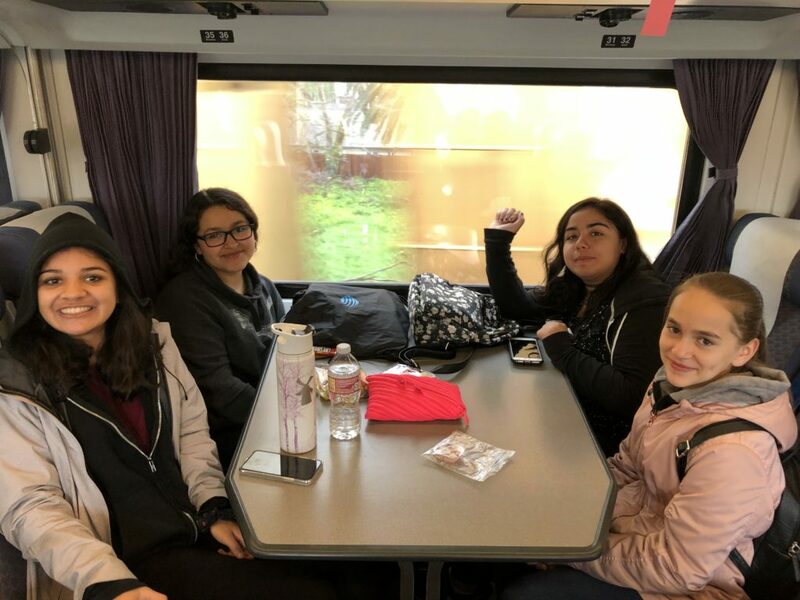 WTS Sacramento Board Member and group leader Julie Passalacqua knew that taking a field trip to Rosie the Riveter by train would be a valuable experience for these girls, who attend Sylvan Middle School in Citrus Heights, an underprivileged Sacramento suburb. Once the group arrived at Richmond Station, they connected to AC Transit with a free Transit Transfer from the Capitol Corridor, and were on their way to the museum. At Rosie the Riveter, the girls took a tour, watched video presentations, and had fun with interactive activities. They learned about the history of Home Front workers during WWII, specifically the recruitment of women and minorities into the workforce that transformed industrial centers like Richmond into “boom towns”. The visit concluded with time for reflection and discussion. The girls were in awe of these women and were disappointed that they lost their new, well-paid jobs once the men came back from war. Nevaeh Granados, age 13, said she had no idea that women worked in the shipyards and built ships. Irma Grajeda, age 12, shared her fascination. 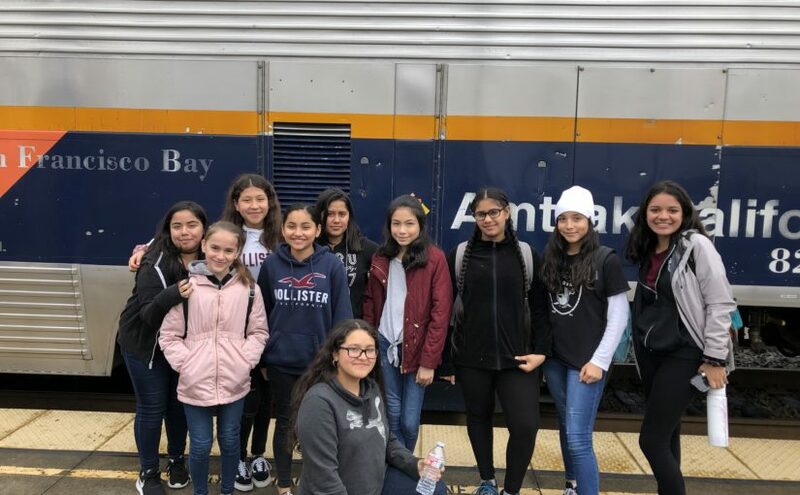 13-year-old Karla Ceballos was amazed at how many aspects of our modern society are related to engineering— including the design and construction of trains, buses, roads, and routes. This realization encouraged both Karla and Irma to consider careers in transportation. In the past, Transportation You field trips have included the Forest Hill Bridge in Auburn, the Bay Bridge and boat tour, and the California State University Maritime Academy. Passalacqua recalled a past trip with a group of high school girls to Teichert Aggregates Plant in Sacramento. The mining engineer who gave the group their tour was a woman, and the experience made such an impression on one of the young women that now, five years later, she is pursuing a degree in engineering at the University of Minnesota. While February may be the shortest month of the year, there’s definitely no shortage of exciting things to do! 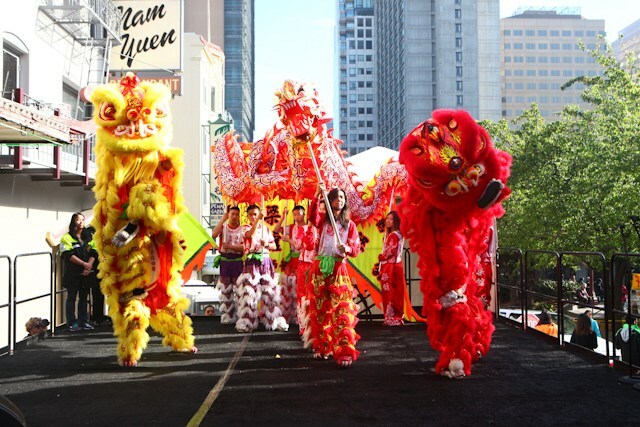 From ringing in the Lunar New Year in San Francisco and San Jose, to celebrating the Native American Two-Spirit tradition and the Oakland Black experience, opportunities to partake in vibrant cultural expressions are not to be missed. You also have the chance to meet your favorite Giants player or stroll along the historic Main Street in Martinez while sipping fine wine and tasting delicious chocolates. Whatever you choose, there is a lot to look forward to along the Capitol Corridor! 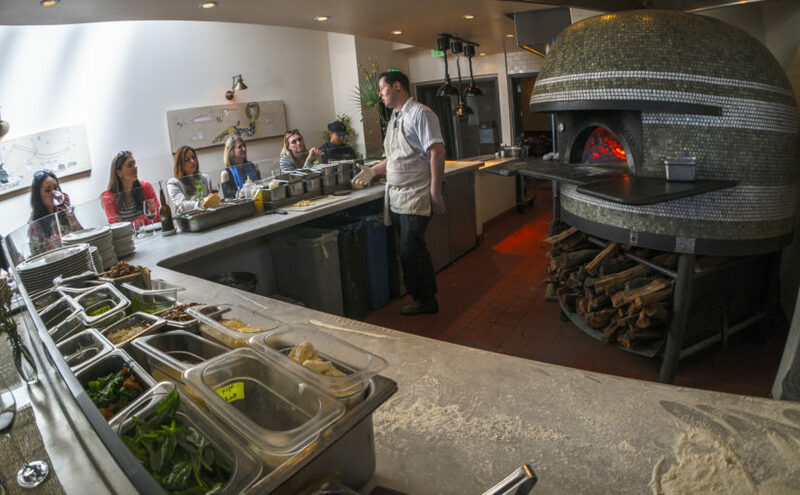 January Picks: Oakland & Berkeley Restaurant Weeks; San Jose Three Kings Day; Martinez Cars, Kids & Coffee; San Francisco Civil War Days; and Oakland A’s Fanfest! Ring in the New Year all month long with exciting events along the Capitol Corridor! 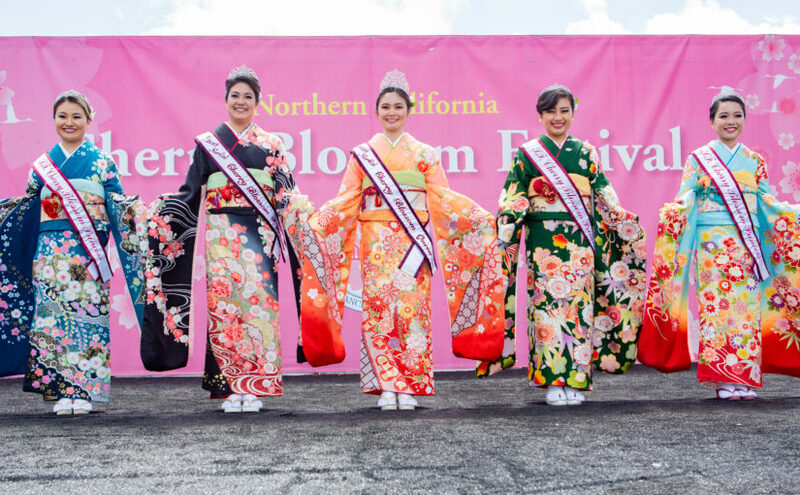 Pamper your palate at not one, but two, renowned East Bay Restaurant Weeks; celebrate the joyous Latino tradition of Three Kings Day in San Jose; bring your kids and enjoy coffee at a signature car aficionado event in Martinez; relive the fascinating history of the American Civil War at San Francisco’s Fort Point; and meet and greet your favorite baseball players in Oakland. 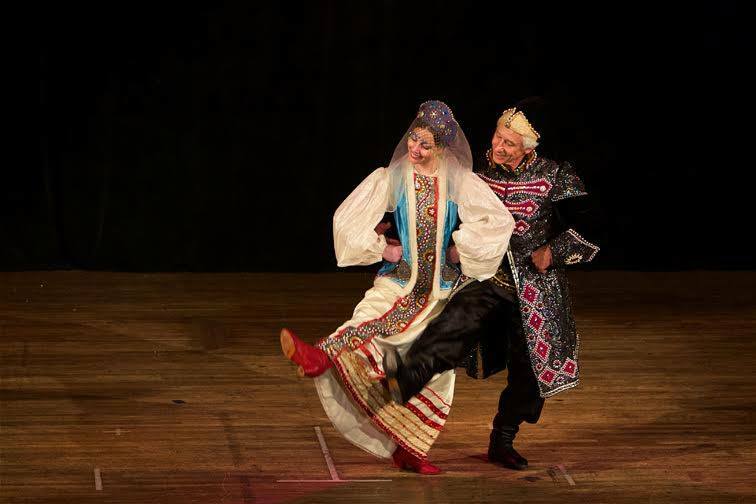 More January Picks: Oakland & Berkeley Restaurant Weeks; San Jose Three Kings Day; Martinez Cars, Kids & Coffee; San Francisco Civil War Days; and Oakland A’s Fanfest!